The Dutch bass Jaap Sletterink received classical voice training at the conservatories of Rotterdam and Utrecht. He is currently studying with acclaimed American tenor and vocal pedagogue James McCray. Jaap Sletterink is a very sought-after soloist on both the operatic as well as the oratorio and lieder stage. In 2016 he will sing the roles of Ramfis in Aida, Il Gran Sacerdote in Nabucco, and Ferrando in Il Trovatore. In 2015 he performed the role of Wotan in Die Walküre at Oslo Opera House in Norway, as part of the LidalNorth Opera Workshop, and sang the role of Ferrando in Il Trovatore with Opera Armida in The Netherlands. His repertoire includes many roles such as Colline in La Bohème, Escamillo in Carmen, Banquo in MacBeth, Rocco in Fidelio, and Leporello in Don Giovanni. 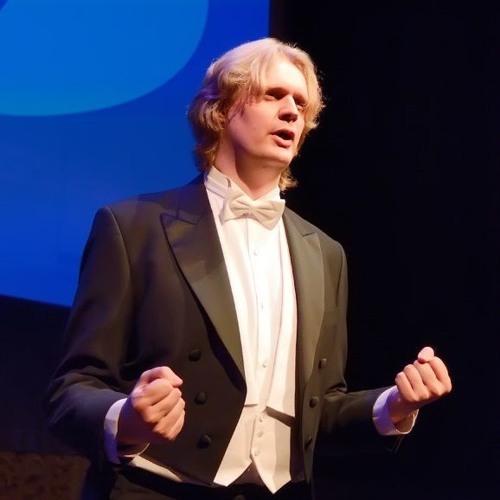 He is an Alumnus of the Wagner Academy at the International Vocal Competition Den Bosch (NL), where he worked with renowned specialists in the field of Wagnerian music such as Wolfgang Brendel, Siegfried Jerusalem and Klaus Sallmann. Furthermore he is an Alumnus of Dartington International Summer School in England where he sang the role of Zio Bonzo in Puccini's Madame Butterfly. Jaap was also a soloist in the Resident Artist Programme at the Dutch National Traveling Opera in Enschede. Jaap also worked a lot in the field of oratorio as a soloist singing several of the major bass parts from oratorios and sacred music by Bach, Verdi, Vaughan-Williams, Dvorak, Franck, and also participated in several world premieres, such as W. Stuurman’s “When Cain murdered Abel”, portraying the role of Abel that was especially written for him by the composer.